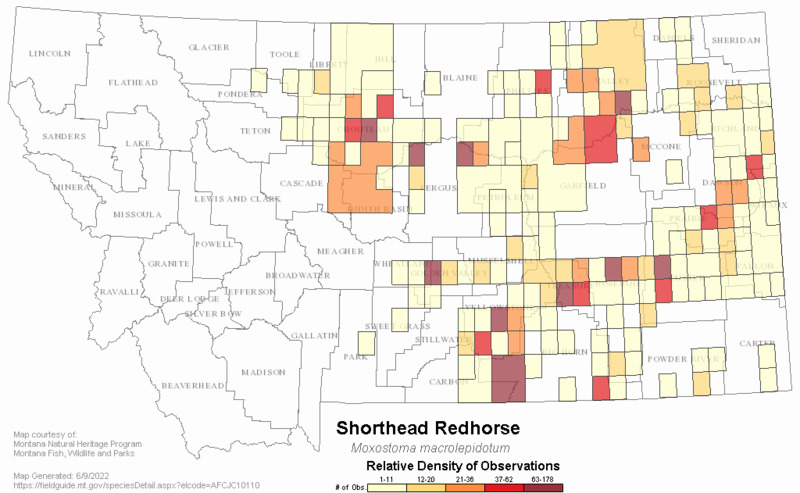 The shorthead redhorse is native to Montana and typically found in the shallow, swift waters of larger rivers in our eastern drainage. Its maximum size in Montana is about 5 pounds. Their natural silver-green coloration is offset by bright red fins. Shorthead redhorse are frequently caught on baited hooks. Sides golden or silvery, back olive to brown with golden reflections, underside white to yellow. No other Montana sucker has a red tail fin. 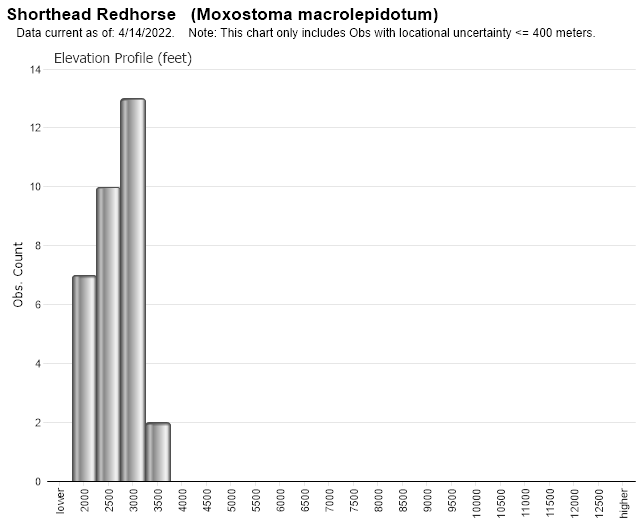 Moderately large rivers with sand, gravel or rocky bottom, intermediate temperatures, and swift current. 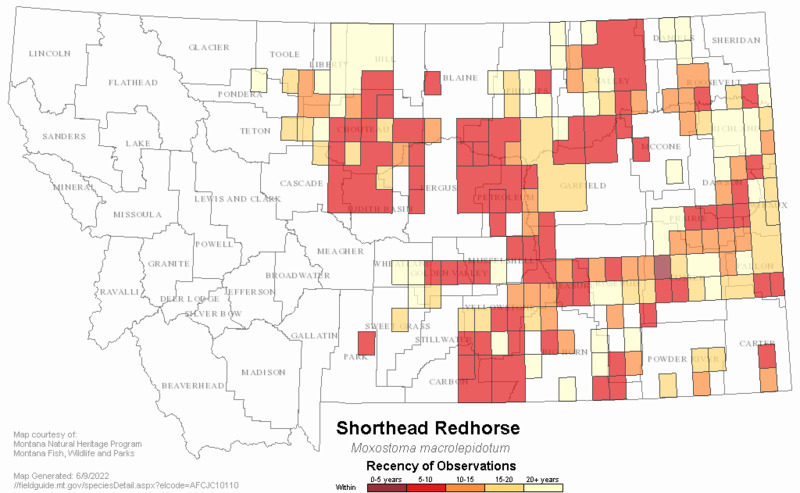 Web Search Engines for Articles on "Shorthead Redhorse"